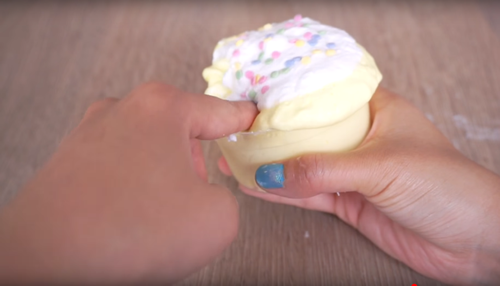 Start celebrating cuz it’s time to learn how to make cupcake slime! 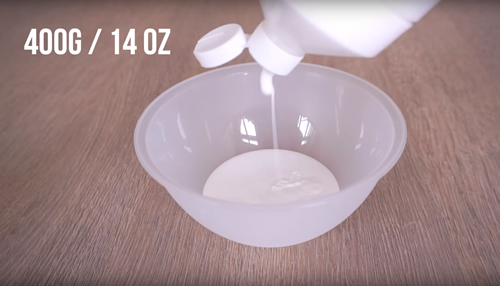 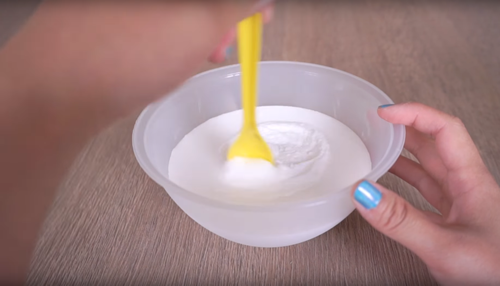 Take your slime recipe to the next level with this easy and fun DIY slime. 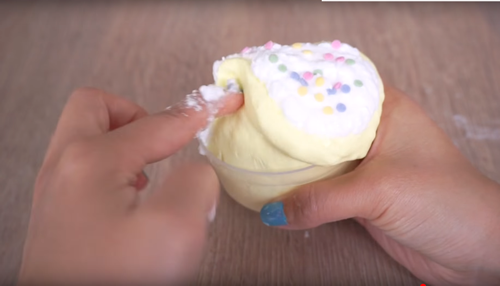 Not only is this an amazing slime recipe to make it is super fun to play with too and the best part you get to add sprinkles to the top. 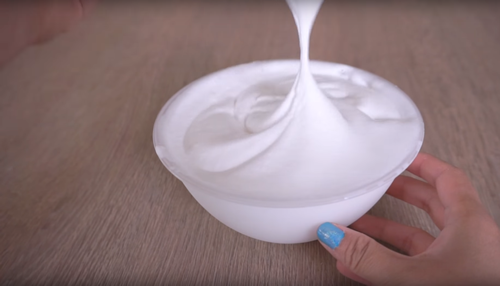 I think this slime is better than fluffy slime plus you can add a fragrance and make this the perfect vanilla scent slime. 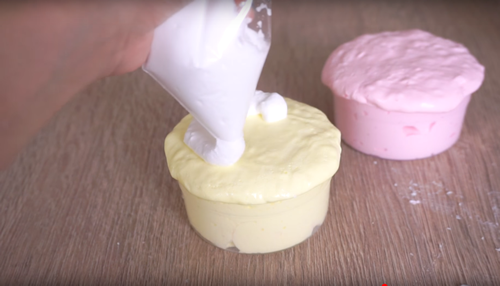 You can make the slime any color you would like this one is made to resemble cake batter. 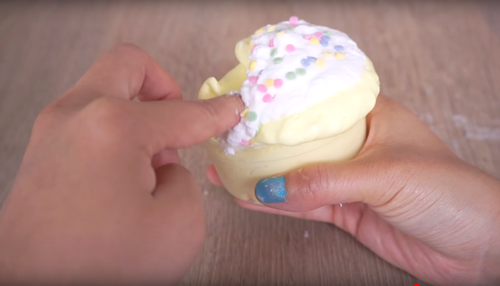 While this is not a DIY edible slime (so please do not eat it) you will still enjoy playing and making this homemade cupcake slime. 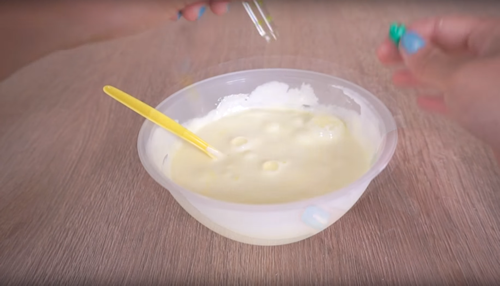 So let’s get started with this DIY slime activity. 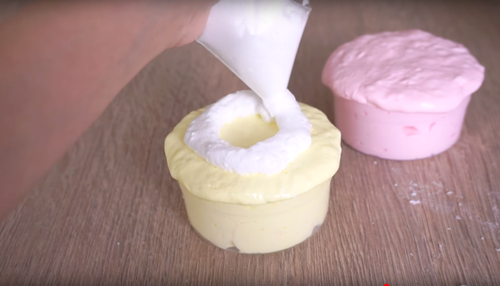 And there is your DIY cupcake slime! 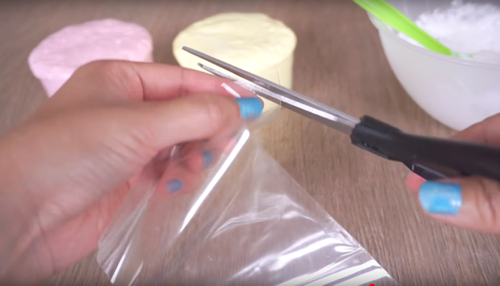 So are you ready to make this DIY slime after following the step by step instructions or watching the video tutorial? 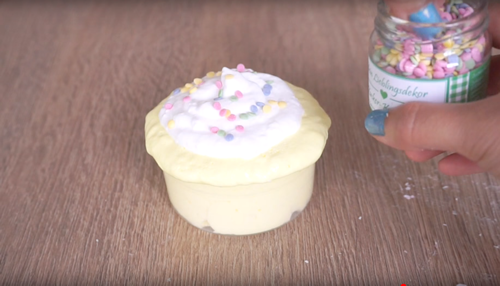 I sure hope you are as you will love it – it’s kind of like a DIY confetti slime with the sprinkles on top! 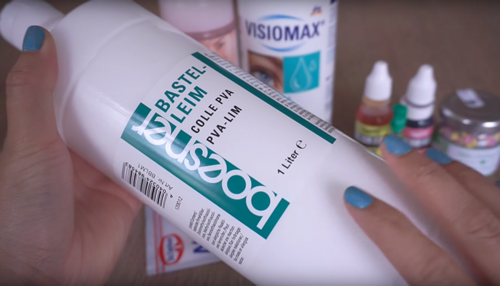 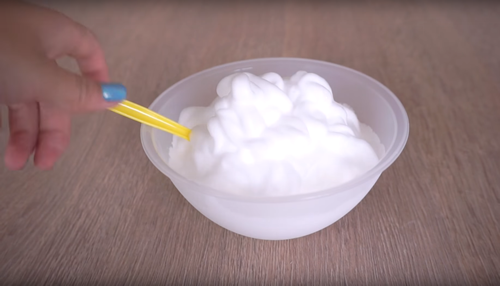 This is a great way to learn how to make slime without borax and how to make slime with glue and shaving cream (or face foam). 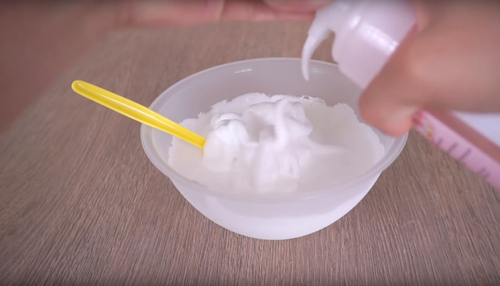 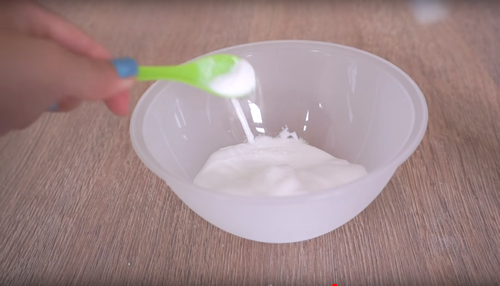 If you came here looking how to make slime fluffy then you will want to follow these steps to make the best slime ever. 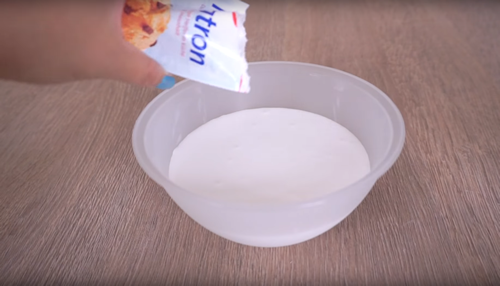 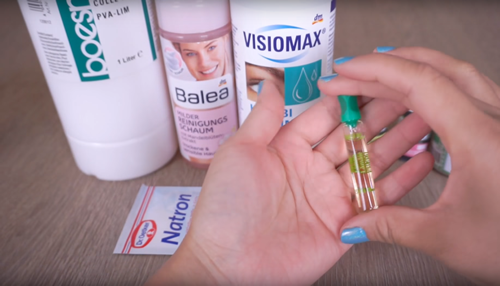 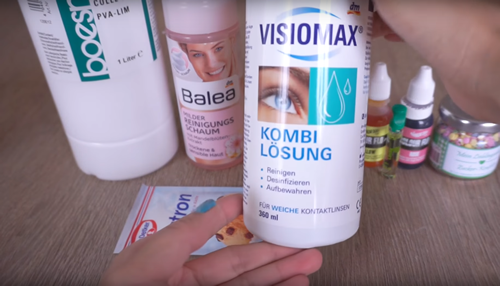 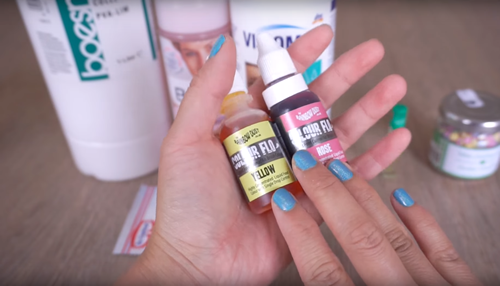 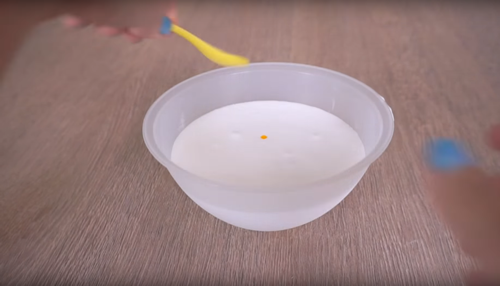 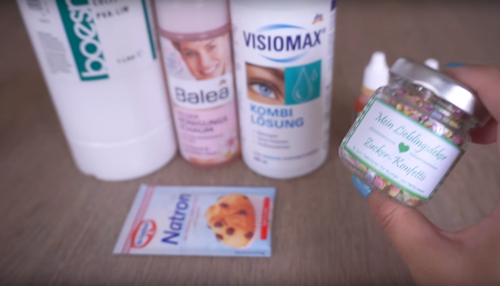 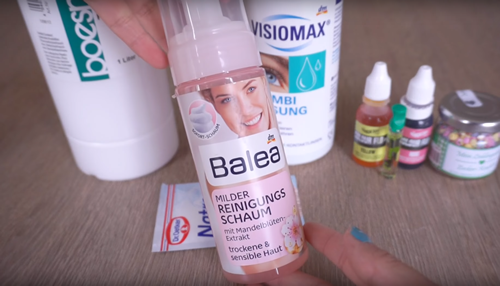 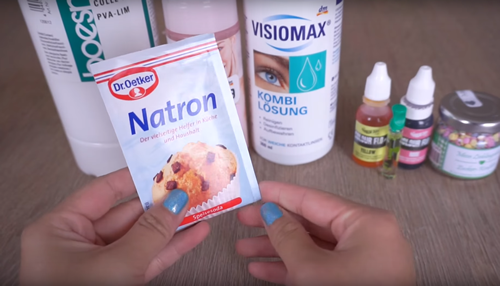 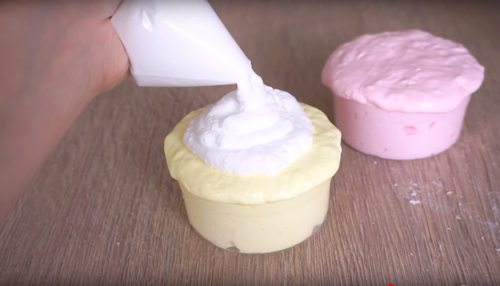 This video was created by friend Joanna from Cute Life Hacks – who makes a ton of slime videos on her Youtube channel. 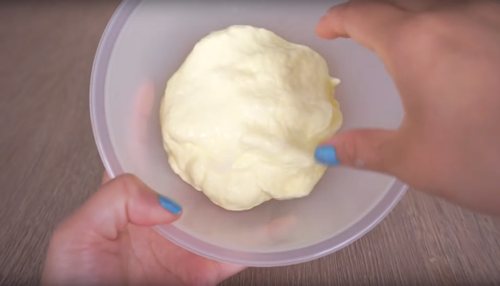 If you want learn how to make slime she is your slime go to girl. 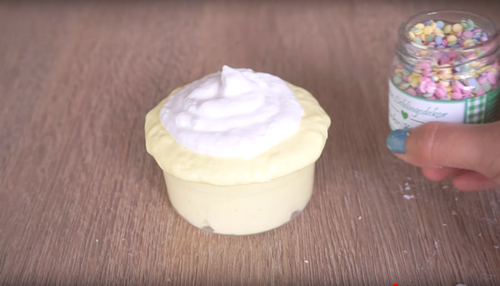 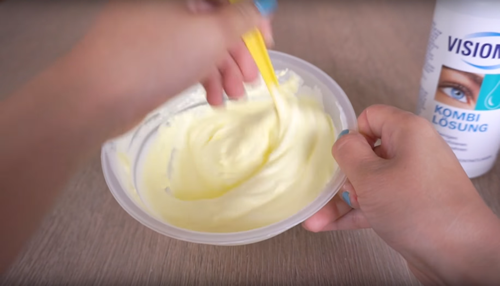 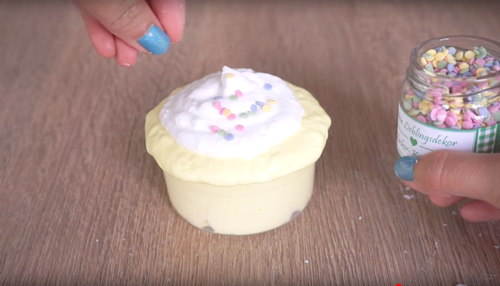 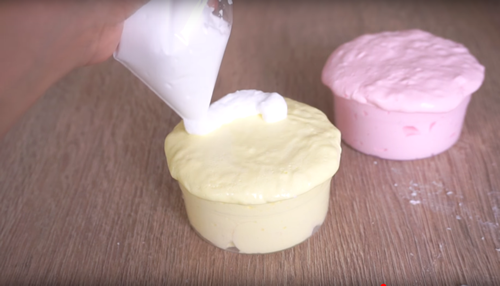 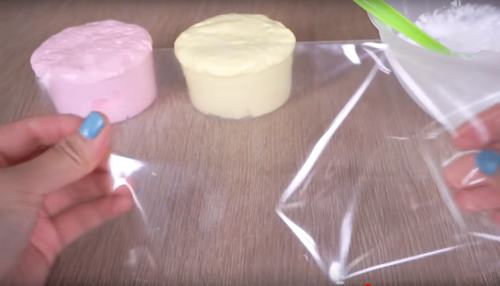 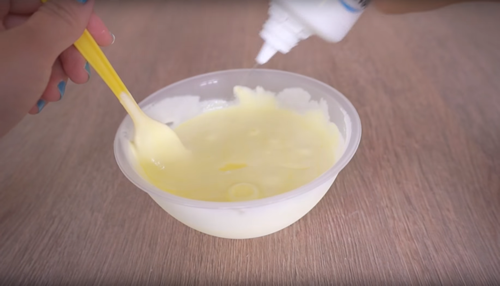 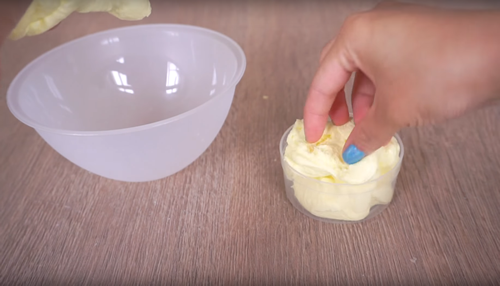 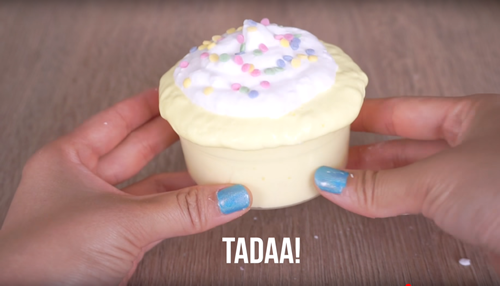 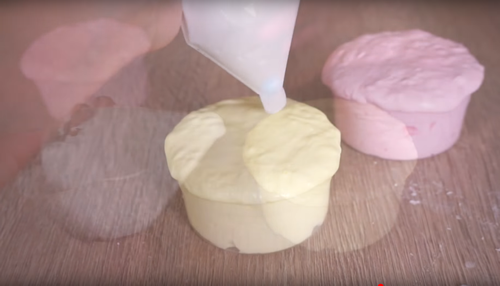 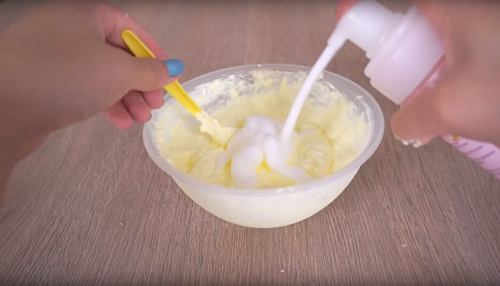 Cute Life Hacks slime videos include: bottle slime, slime experiements, butter slime, DIY souffle slime, face slime, sponge slime and even cake frosting and so many more. 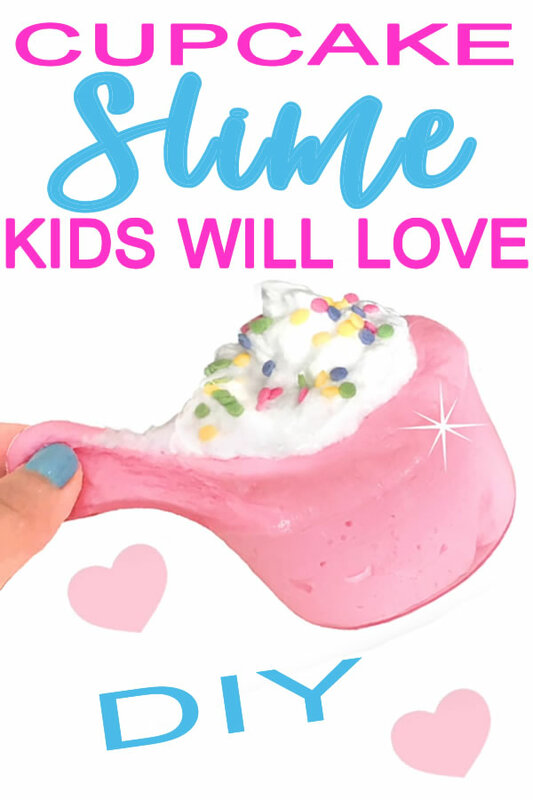 If that isn’t enough slime inspiration and ideas you can check out Pinterst for more homemade slime ideas and activities. 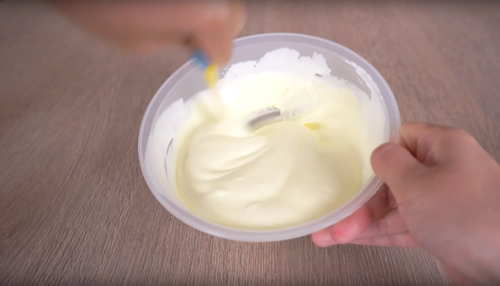 Slime DIYs are great kids crafts, and great for tweens and teens too. 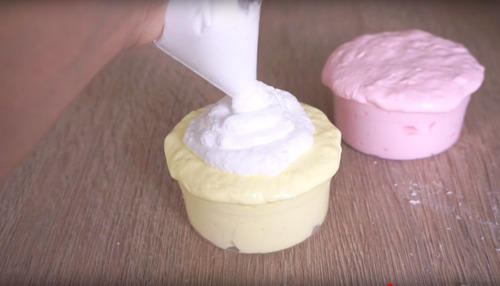 You can make them for yourself give as gifts, use as a party favor or party activity. 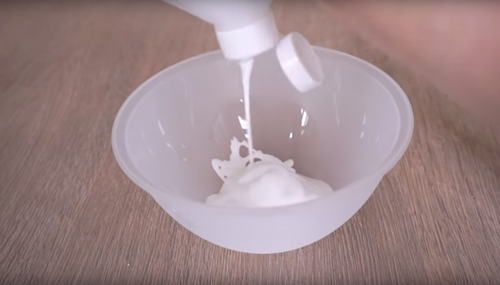 I hope you enjoyed this slime DIY. 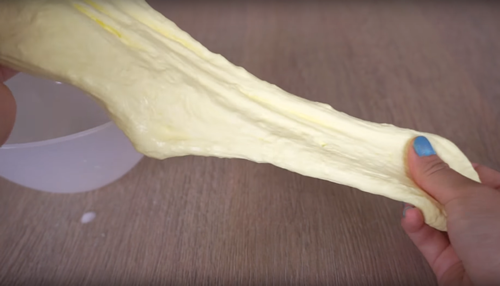 Leave me a comment and let me know your favorite slime. 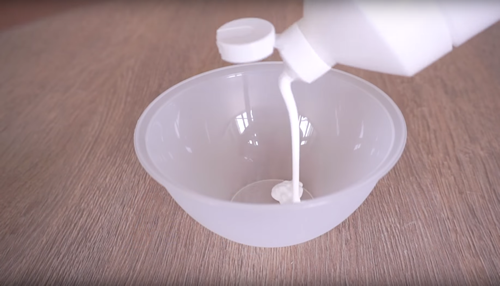 Until next time have a great one!